Return path ingress is transient, and makes detection a constant struggle for cable operators. Therefore, current detection methods translate into tremendous technician time loss, compromised customer confidence and significant revenue loss. A study carried in 2017 across several MSOs showed that while cable operators monitored events in the VHF and UHF bands, they fail to capture 25% of return path ingress cable network impairments. Effigis exclusive GPS-based Ingress Detection Solution corrects this failure, with technology that enables technicians to localize ingress within a few meters. 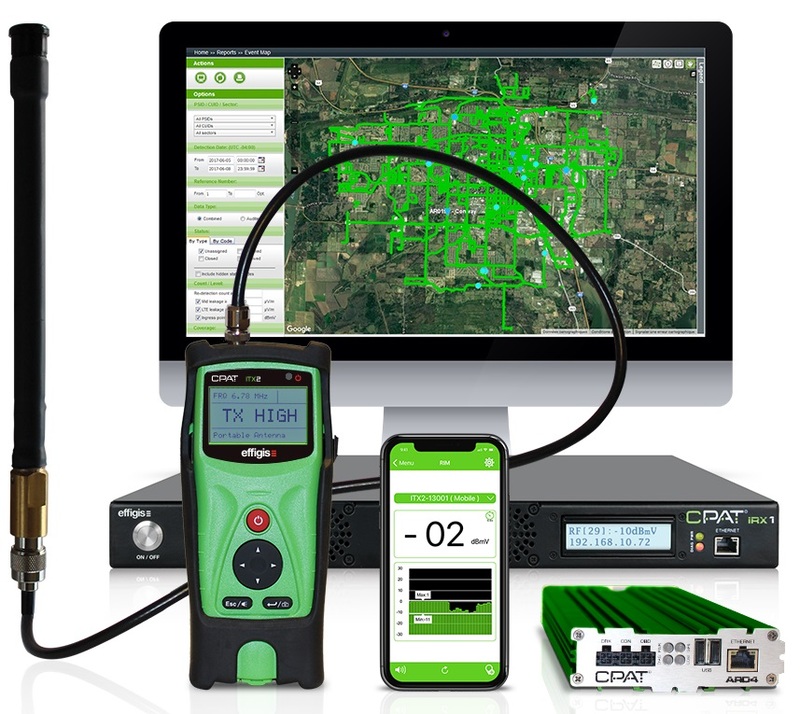 How the CPAT FLEX Ingress Detection Solution can work as a stand-alone or a value-added complement to existing PNM tools and full-band capture cable modem.